Agnes is 37 years old and has eight children and one grandchild. She is a farmer by occupation and grows cassava, maize, and beans to feed and support her family. For the past ten years, she has experienced severe lower abdominal and back pain. She also experiences urinary difficulty. She has been to local health facilities but has not received any treatment to improve her symptoms. She heard a radio announcement about our medical partner's care center, Bwindi Community Hospital, and traveled 36 hours by bus to receive assistance. She was diagnosed with a uterine prolapse and needs a total abdominal hysterectomy. The surgery is scheduled for November 3. Now, she needs help raising $321 to fund treatment. Grace is a 37-year-old woman from Uganda. She has seven children. Her oldest is at a technical college, and the other children attend a primary school. Grace and her husband farm their land and grow millet and peas to support the family. She attends church and enjoys singing hymns and songs. One of her greatest pleasures is spending time with her children and hearing their stories about school. Since the birth of her first child 21 years ago, Grace has had gynecological symptoms. These symptoms have gradually intensified over the years with the birth of her other children. She is scheduled for a hysterectomy which should cure her symptoms. Her condition makes it very difficult to perform day-to-day activities, such as farming, due to pain. She previously had surgery but the symptoms returned. Our medical partner, The Kellermann Foundation, is requesting $321 to help fund Grace's procedure, which is scheduled to occur at the beginning of November. Grace looks forward to recovering from surgery and being able to farm, dig, and do her usual daily activities without inconvenience and pain from her prior symptoms. She said, “I would like to say a big thank you for all the help and what the donors have done for me. It is such a blessing." To the donors helping her, Santa would like to say, “Thank you, and may the Lord give you everything you need.” A 38-year-old woman from Uganda, Santa has been having lower abdominal pain for the past year. This has seriously impacted her day-to-day life. As a result of the discomfort, Santa hasn’t been able to farm her land as much. Because she is the sole provider for her six children, her family has not had as much food to eat as they usually do. Recently, Santa traveled 36 hours by bus from her village to Bwindi Community Hospital, our medical partner's care center. There, she was diagnosed with cervical cancer. Santa needs a total abdominal hysterectomy to remove the cancerous lesions in her cervix. While she is under anesthetic, the doctors will also examine whether the cancer has spread and decide whether she will require any further treatment. Santa cannot afford to pay for this operation. But we can help. For $321, we can sponsor her surgery on November 2, as well as the related lab tests, medications, and five-day hospital stay. When she has recovered from her surgery, Santa looks forward to getting back to farming her onions and cassava, and to selling this produce to support her family. A 70-year-old woman from Uganda, Pica has been dealing with complications from a vaginal prolapse since the birth of her last child 25 years ago. As a result, she has had ongoing problems with lower abdominal pain. Pica has sought help from local health centers, but has received only medication for the pain rather than surgical treatment. Now, doctors are recommending that she undergo a total vaginal hysterectomy and a perineal tear repair on November 2. Although these two procedures will likely bring Pica substantial relief and prevent further complications, she cannot afford to pay for them by herself. Because her husband has passed away, Pica works alone as a farmer, raising cotton, millet, and beans to provide food and income to her large family of eight children and twenty grandchildren. We can help Pica by raising the $321 she needs to pay for her procedures, lab tests, medications, and five-day hospital stay. When she has recovered from her surgery, Pica says that she would like to try to start a small business. With your assistance, she can pursue this dream—and live without pain for the first time in 25 years. 53-year-old Mildret is a farmer from Uganda. She and her husband have six children and work as farmers to support their family. Mildret shares with our medical partner, The Kellermann Foundation, that she is happiest when her family is happy and has enough to eat. Mildret has been diagnosed with a prolapsed uterus and requires a hysterectomy. The surgery is set to take place on November 1. However, Mildret is unable to afford the $321 surgery on her own and needs our help to cover the medical costs. "I appreciate all the help I have received. I would love God to bless all the donors," says Mildret. Meet 40-year-old Grace from Uganda. Grace and her husband are parents to eight children. The income they receive from growing millet, beans, cotton, and maize supports their family and their children's education. Grace is also a member of a local savings group. Grace traveled for 36 hours to seek medical treatment from a care center affiliated with our medical partner, The Kellermann Foundation. Grace developed a perineal tear during the birth of one of her children over 20 years ago. This has caused incontinence, which greatly impacts Grace's day-to-day activities. Doctors have recommended that she have a perineorrhaphy to repair the tear and relieve her of her symptoms. Grace's surgery will take place on November 1 and cost $215. She is looking forward to being healthy again and going back to work. "I would like to thank everyone who has supported me through Watsi," says Grace. Meet Selina, a 67-year-old small farmer from northern Uganda. Selina and her husband grow and sell beans, sorghum, and soy beans to support their seven children. Selina is also a potter and makes pots from locally-sourced clay. Selina developed an utero-vaginal prolapse following the birth of her youngest child. Due to the sensitive nature of her condition, Selina shares that she has difficulty working on the farm and completing other daily activities. She is currently taking pain relief medication to manage her symptoms. Selina will undergo a hysterectomy on October 31. Our medical partner, The Kellermann Foundation, is asking for donations in the amount of $321 to help fund Selina's surgery. "I would like to thank all the donors for their help. May God bless them," says Selina. Meet 57-year-old Miriam from Uganda. She has six children and ten grandchildren. The income Miriam earns from growing crops goes towards her children's education. In her free time, Miriam enjoys singing gospel songs and spending time with her grandchildren. Miriam developed an utero-vaginal prolapse following the birth of her youngest child. She experiences incontinence, and the pain prevents her from working. Miriam traveled for 36 hours to reach our medical partner's care center for treatment. Doctors have now recommended Miriam for a hysterectomy and colphorraphy to correct her condition and relieve her of her symptoms. This is scheduled to take place on October 31. 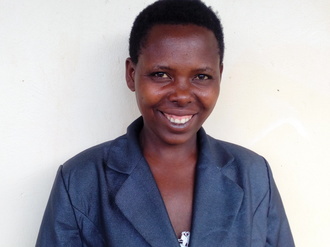 Miriam's husband has sadly passed away and Miriam is unable to afford the $321 surgery on her own. Our medical partner, The Kellermann Foundation, is asking for donations to support Miriam. "I would like to thank God for the support I have received from Watsi and I would like to inspire others with my story," says Miriam. Ritah is a 41-year-old woman from Uganda. She works as a volunteer administrator at a baby's home, and also grows beans, sorghum, and potatoes. Ritah was diagnosed with a fistula, which is a connection between organs that should not be connected and is a condition especially common in women. A doctor has recommended surgical treatment. In her free time, Ritah enjoys visiting babies in children’s homes to counsel them and offer material support, like the food that she grows. Ritah also enjoys visiting adolescents in schools to offer advice. Ritah hopes to visit communities to educate women about fistulas so that they can seek treatment. Her own treatment is scheduled for September 30. Ritah said, “I thank donors for supporting my treatment and I pray God to protect them in everything they do to support the ladies out of their problems.” Watsi is requesting $547 to help fund Ritah's procedure. “I thank you for supporting my treatment,” shares Dafurose, a 35-year-old woman from rural Uganda. “I will always pray for God to bless the donors in everything they do.” Dafurose has one daughter and works very hard to support her daily needs and education. Dafurose is a farmer who grows beans, bananas, groundnuts, and cassava. In her free time, she enjoys visiting friends and relatives, as well as helping her daughter with her homework. For the past thirteen years, Dafurose has lived with abdominal pain and fevers. Her visits to the doctor usually result in prescriptions for painkillers, but these do not treat the underlying problem. Recently, her pain has been getting worse, and has decreased her ability to farm. Dafurose was referred to our medical partner's care center, Bwindi Community Hospital, where a physician diagnosed her with multiple abdominal masses. However, her care team needs to gather more information about the nature of the masses before they can develop a treatment plan. This information can be obtained with a laparotomy, a diagnostic surgery involving an incision in the abdomen. Although Dafurose cannot afford this operation on her own, we can sponsor it for $307. This will also cover the costs of the necessary lab tests and five-day hospital stay. After treatment, Dafurose hopes to resume farming. Let’s make sure she is able to start working—and supporting her daughter—again soon.